In December I put together Mk. III of my Surly Ice Monster Truck, with the main new thing being the 27.5x4.5" platform. 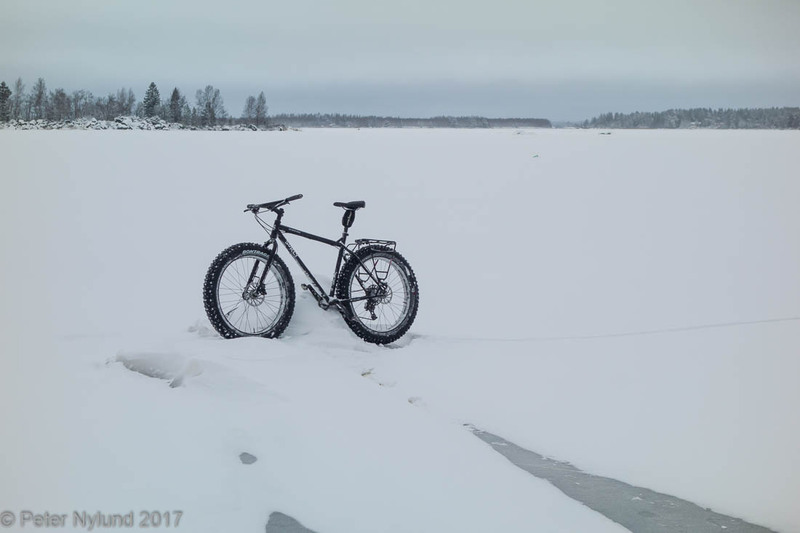 I'm still lacking deep snow and crust conditions for it, but thought it would be of some interest to give my impressions so far. 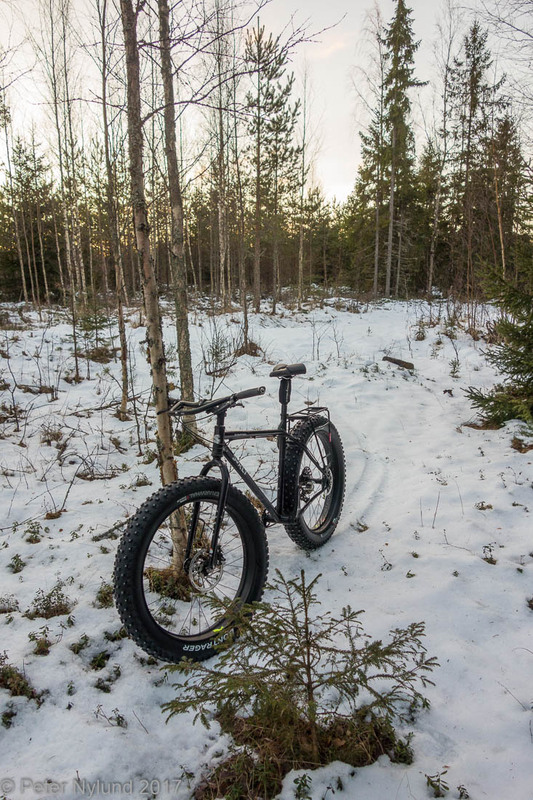 The Bontrager Gnarwhal 27.5x4.5" tire has a rather aggressive pattern with big knobs, which makes it roll about as poorly as can be expected on hard surfaces. This is definitely overkill for all but the most difficult situations for summer use, at least if the rider skills are intermediate or better. Also, I think tires this coarse are a poor choice since they definitely affect the trails more that tires with more moderate patterns. 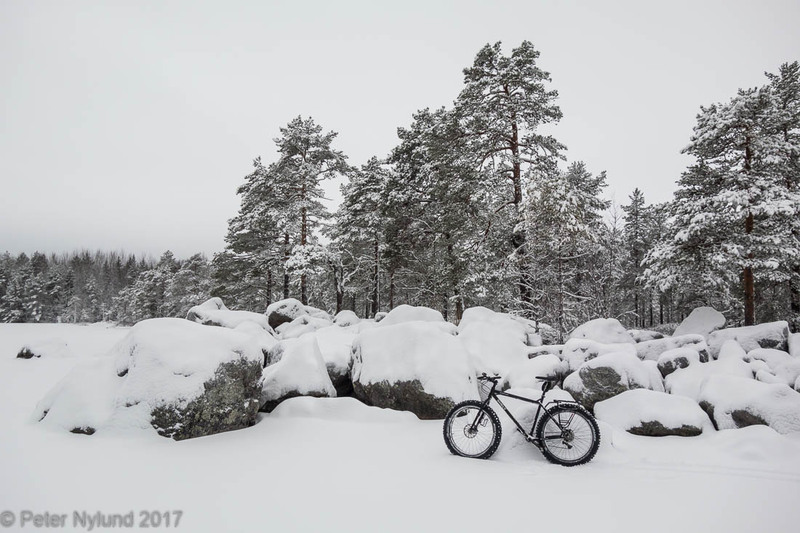 I fully expected this, and will use the Bontrager Barbegazzi 27.5x4.5" tires outside the winter season, but wanted to have one tire for everything for the winter. The Gnarwhal has ready-made stud pockets and I studded the tires myself with Schwalbes's studs. With 218 studs per tire it should be good on ice and the slightly longer contact patch should give both grip and floatation. 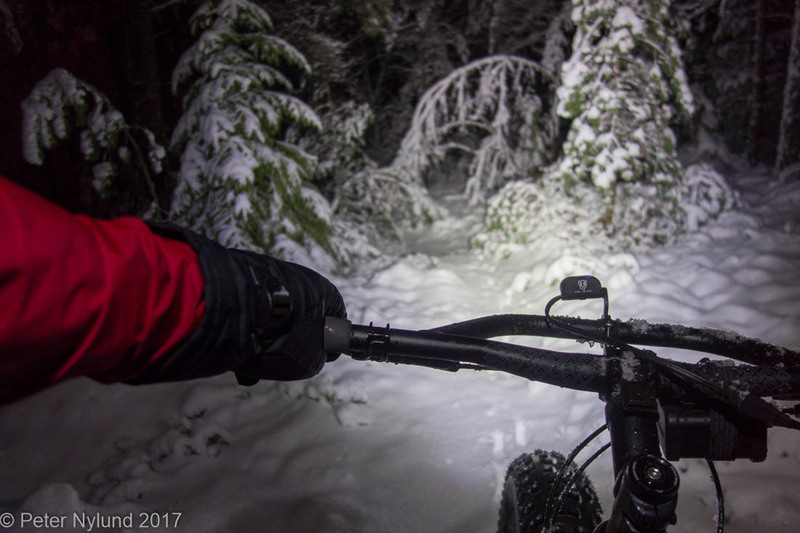 The first ride was in around 10-15 cm of very wet snow. No surprise here, the grip was excellent and due to the big knobs the front tire didn't wash out, something that easily can happen with tire with smaller knobs, e.g like the 45NRTH Dillinger 5. I can't say I noticed the larger diameter of the wheels, though. 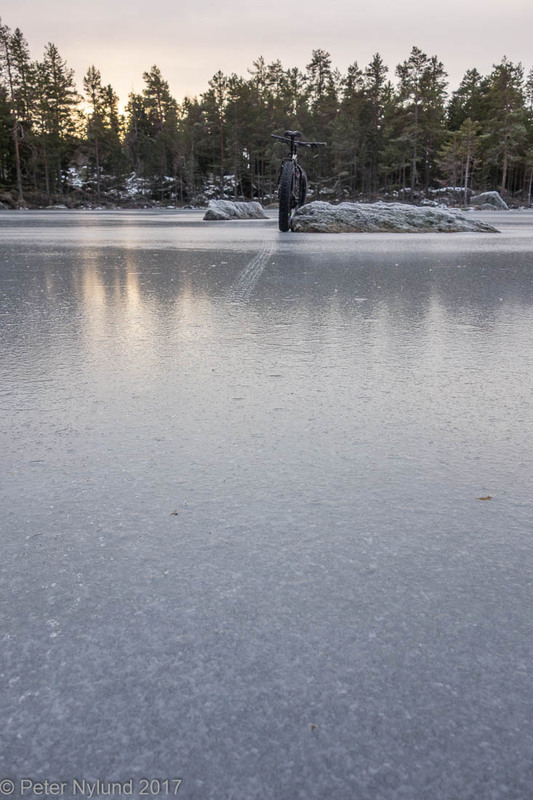 ... and the very slippery and uneven ice on forest roads showed that the grip with studs was excellent. 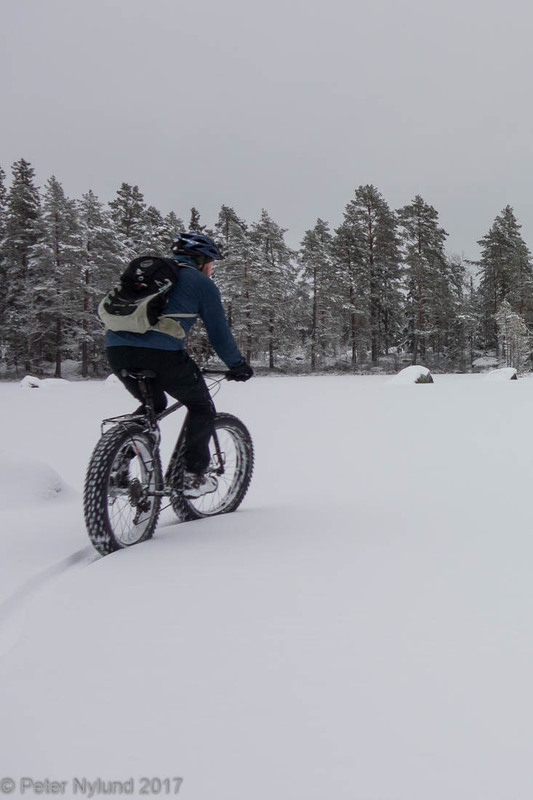 Riding ordinary fatbike tires without studs could only have led to disaster in these circumstances. The tires actually worked a little better that I expected. 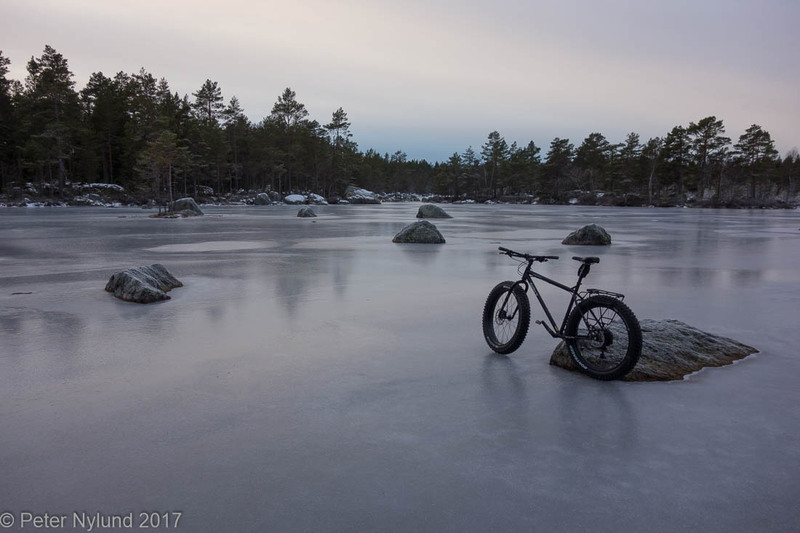 I rode with 5.5 psi in the front and 6 psi at the back, and it felt like the tires actually conformed to the uneven ice and found grip for the studs that way. Maybe a bit surprising, since conventional wisdom tells that higher pressure would be better since it would maximize pressure on the studs, causing them to grip better. I think the grip was possibly a bit better that with Dillinger 5 in theses conditions, though Dillinger 5 clearly rolls better. No problems on even and hard ice, either. I felt perfectly safe riding on ice with these. The we got around 10 cm of snow. 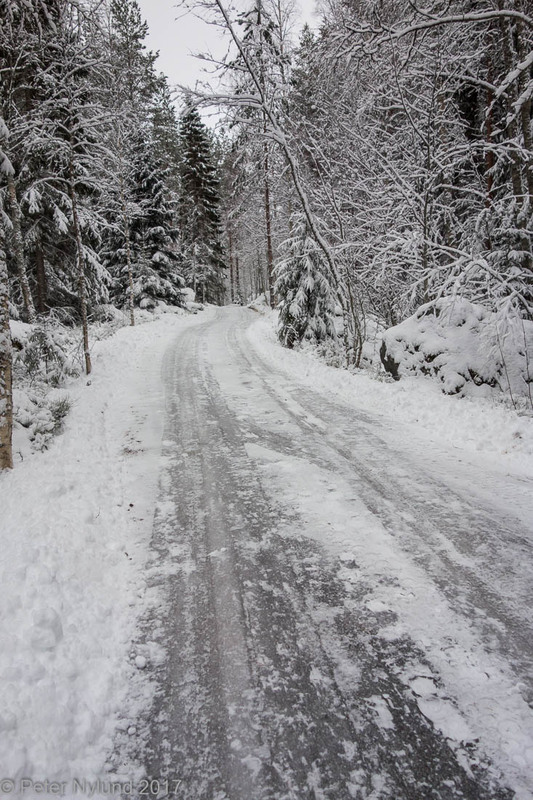 A plowed forest road, occasionally with a little snow on top of the uneven ice, was no problem. This was colder and more fluffy snow, varying between 5 and 15 cm. On pure and even ice the grip was as poor as could be expected, since the snow hadn't yet bonded to the ice and it was thick enough to prevent the studs from gripping ice. In these condition tight turns inevitably leads to the front wheel washing out. The grip for propulsion, however, was good. 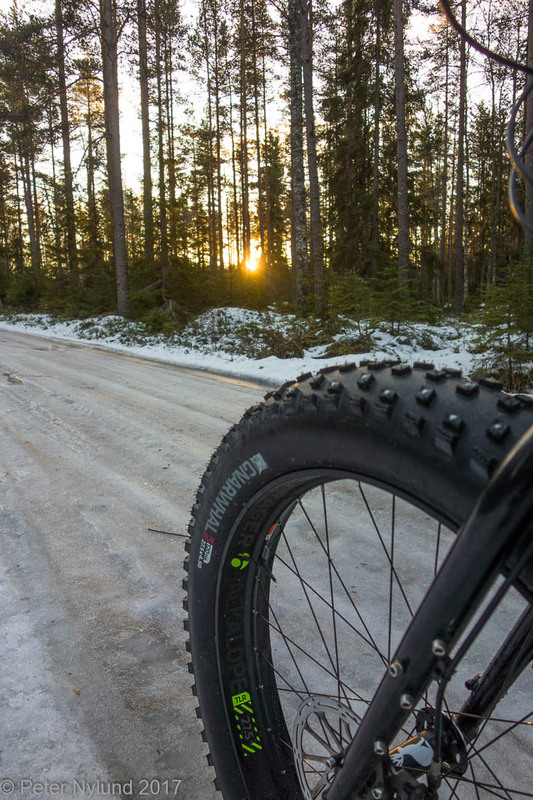 Putting a little more power to the cranks caused the tire to dig down to the ice, again getting grip for a moment. The digging down is a consequence of the coarser pattern and is not a good thing in snow. 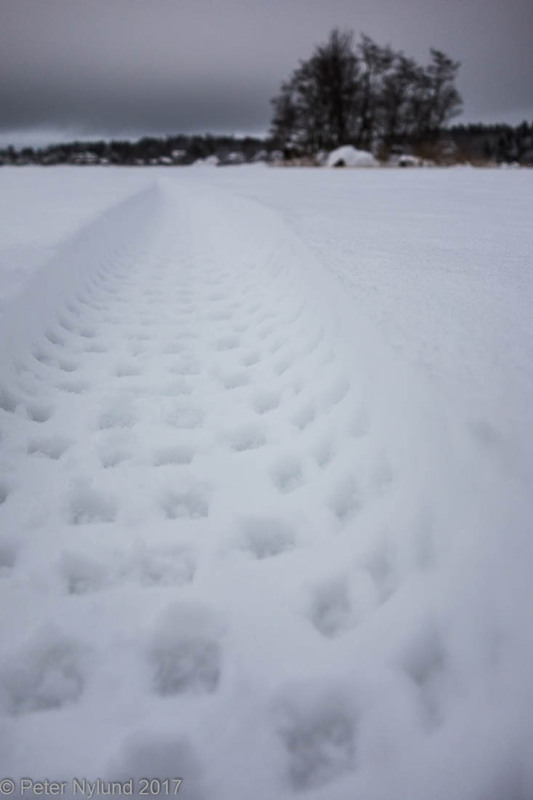 The snow conditions can vary a lot, but there are conditions where a slicker tire finds floatation on top of the snow, and a more coarse tire breaks the snow surface and starts digging down. A slicker tire can have problem with traction, though. There is simply no tire that works well in all conditions. We haven't yet had enough snow for floatation to be an issue, so it remains to be seen how the tire work in those conditions. I do think it is a good all round tire, unless you need something that rolls easily over hard surfaces. During this tests I can't say I've noticed the bigger diameter, but I assume that will be more obvious on summer trails. I'll be back when I have more miles and conditions with the tires.